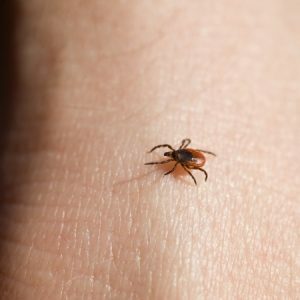 It’s always a good idea to keep an eye out for ticks during the summer in Connecticut, but they could be especially problematic this year because a high percentage of ticks are testing positive for the bacteria that causes Lyme disease. Over 40 percent of the 2,600 ticks that have been surveyed by the Connecticut Agricultural Experiment Station have tested positive for Borrelia burgdorferi, which is known to cause Lyme disease. The good news for Connecticut residents is that, despite the high rate of infection in ticks, officials haven’t noticed an increase in reports of Lyme disease so far. That said, there were more than 2,000 reports of Lyme disease in Connecticut in 2017, so it’s always best to err on the side of caution. Try to steer clear of tall grasses and overhanging tree branches when possible, and wear a tick repellent when hiking, camping or working outdoors. Once you come inside, be sure to conduct a thorough tick check as well. If you spot a tick bite with a red rash around it or begin to exhibit any symptoms of Lyme disease, schedule an appointment with your doctor as soon as possible. At Brother Tree & Lawn Service, we offer tick and insect control services that can reduce the threat of Lyme disease on your property. To learn more about tick control or any of the other lawn care services we offer, feel free to give us a call or contact us online today!